This statistic presents information on the share of mobile payment users in the United States who experienced any difficulties while using mobile wallets at retail locations. 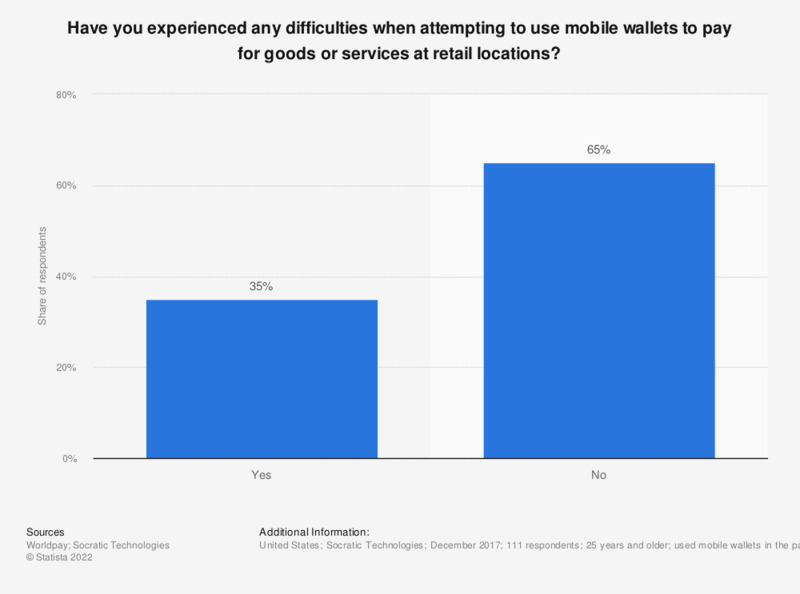 During the December 2017 survey, it was found that 35 percent of respondents had difficulties when attempting to use mobile wallets to pay for goods or services in-store. Do you use a mobile payment/digital wallet system, such as Apple pay? Do you plan to use a mobile payment or digital wallet service to complete a purchase this back-to-school season?